We were delighted to be at the launch of this year’s Trinity Med Day which took place on the Trinity campus recently. 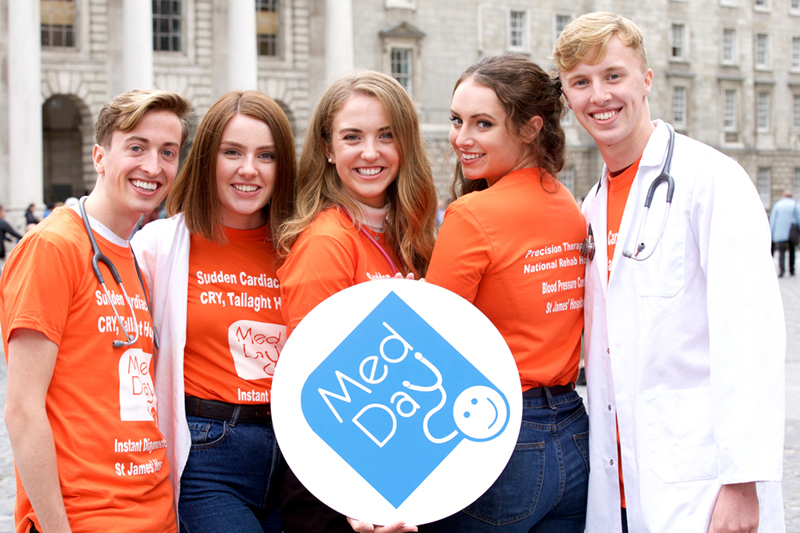 Trinity Med Day is a fundraising organisation run by medical students at Trinity College Dublin. 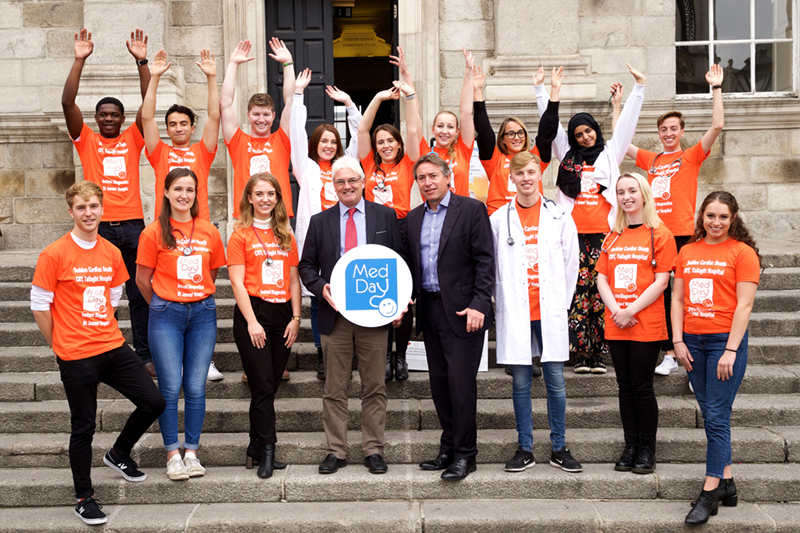 In recognition of the contribution the hospitals have played during their studies, 600 medical students will take to the streets of Dublin on Friday 2nd November 2018, to raise much-needed funds for essential hospital services. The beneficiaries of the funds raised this year include St James’s Hospital, Tallaght Hospital, the National Rehabilitation Hospital, Dun Laoghaire and the Trinity Access Project (TAP). 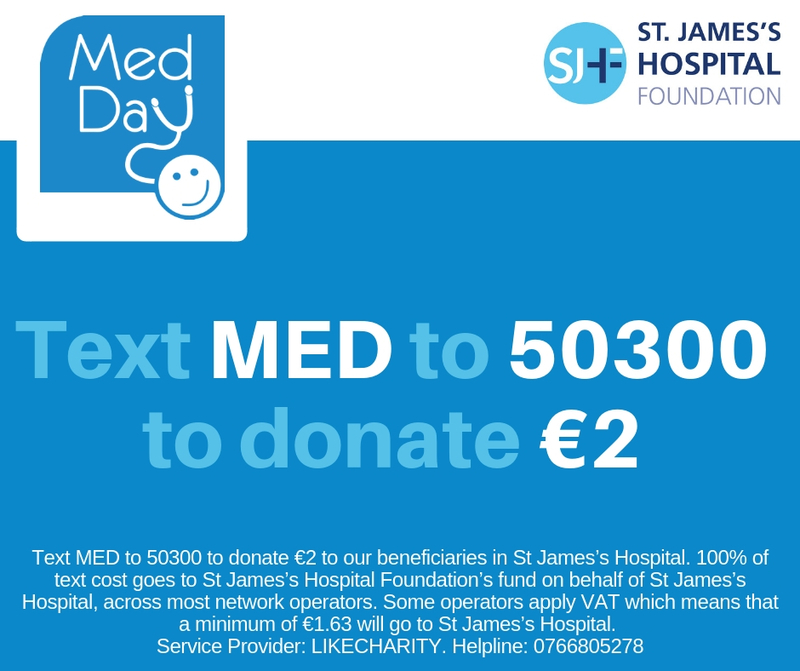 Med Day hopes to raise sufficient funds to purchase a medical ultrasound machine and establishment of a portable ultrasound service in the St James’ Hospital Acute Medical Assessment Unit. This will reduce patient waiting times and length of hospital stay, improve patient care and reduce hospital costs. Currently, all procedures requiring ultrasound guidance must be carried out in the radiology department of St James’ Hospital. The purchase of this, the first project of its kind in Ireland, will enable procedures to be carried out faster, more thorough examinations of the heart/lungs/kidneys/liver and provide St James’ Hospital with new opportunities for research and patient care. The funds raised will also contribute towards the costs of replacing the existing 24-hour blood pressure monitors in St James Hospital. They are 15 years old and have not been functioning well for the past 12 months, resulting in incomplete recordings for many patients. This project will benefit the patients themselves and the team providing the service. St James’ Hospital has one of the largest blood pressure clinics in the country helping over 2,000 patients every year. New patients with high blood pressure undergo 24-hour blood pressure monitoring to guide the diagnosis and management of their condition. Studies have shown that 24-hour blood pressure monitoring is a stronger predictor of cardiovascular complications than once-off clinic blood pressure measurements. 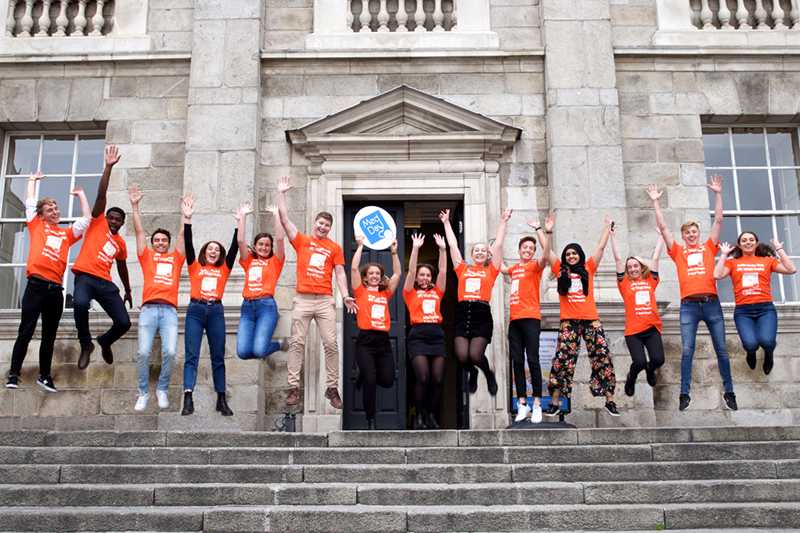 Many thanks to the Med Day committee and all the TCD students who are taking part in this wonderful annual fundraiser. Your support will help us make a real difference in patient care.